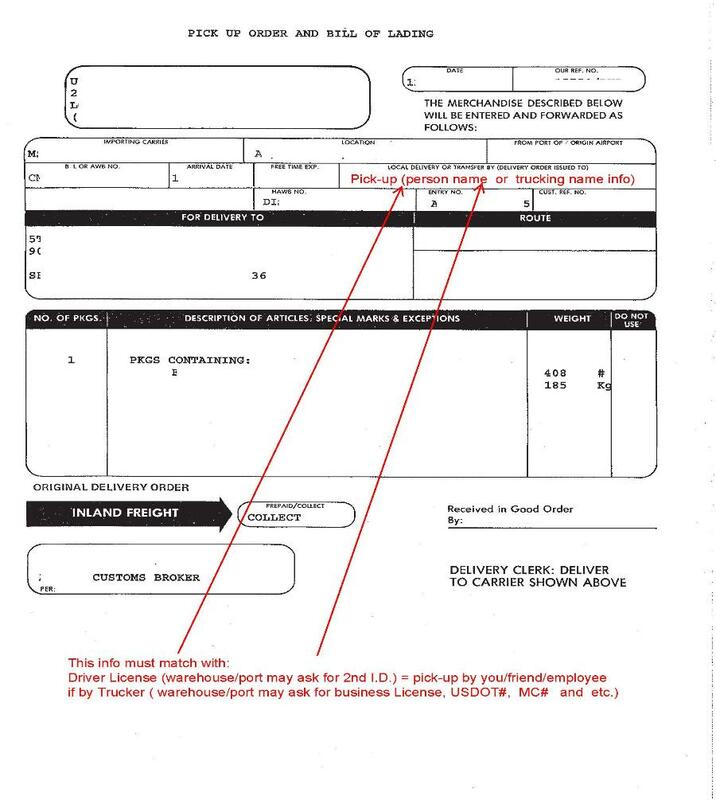 (1) 7501 Entry Summary Customs Release Documents: This transaction covers all shipments (Importers) Type 1 & 3. (2) 3461 Entry(Immediate Delivery = Customs Release Documents: This transaction covers vast majority of commercial shipments (Importers) / Type 1 ONLY. 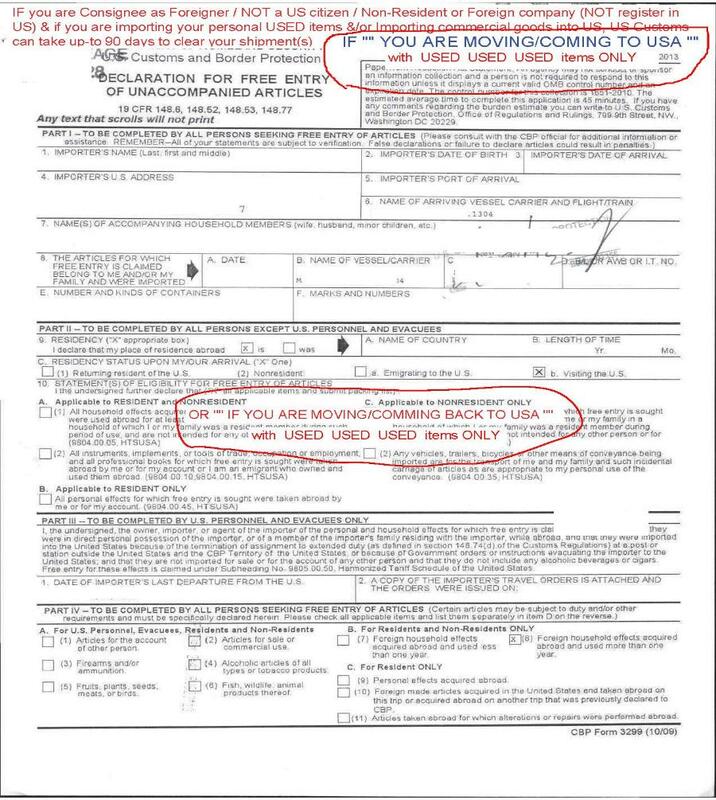 (3) 3299 if you're MOVING back into USA with personal USED item = Customs Release Documents / Type 3 ONLY . 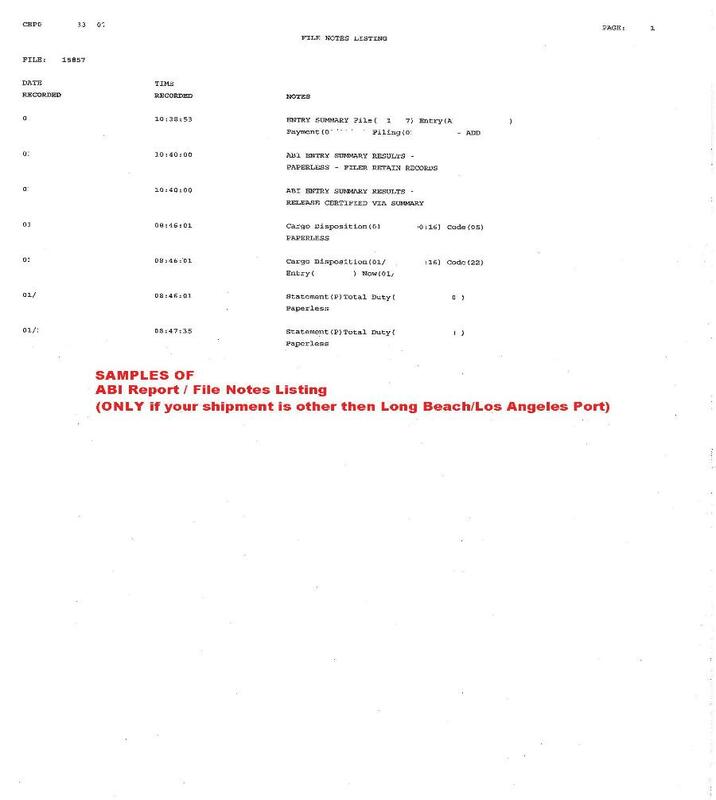 (4) Pick-up-Order and Pick-up-bill-of-lading. 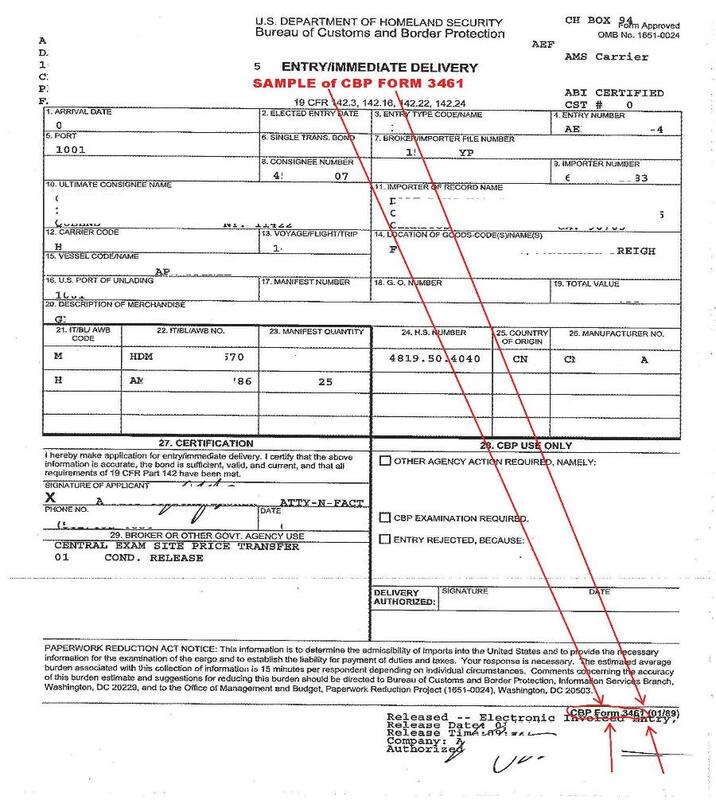 aka: Delivery Authorization/Authorized Declaration (DAD) / Delivery Order (DO) = Customs Release Documents: Type 1 & 3. BEFORE, Customs Released Documents could be issue, you MUST email us name of person or company name that will be picking-up your shipment. 1. 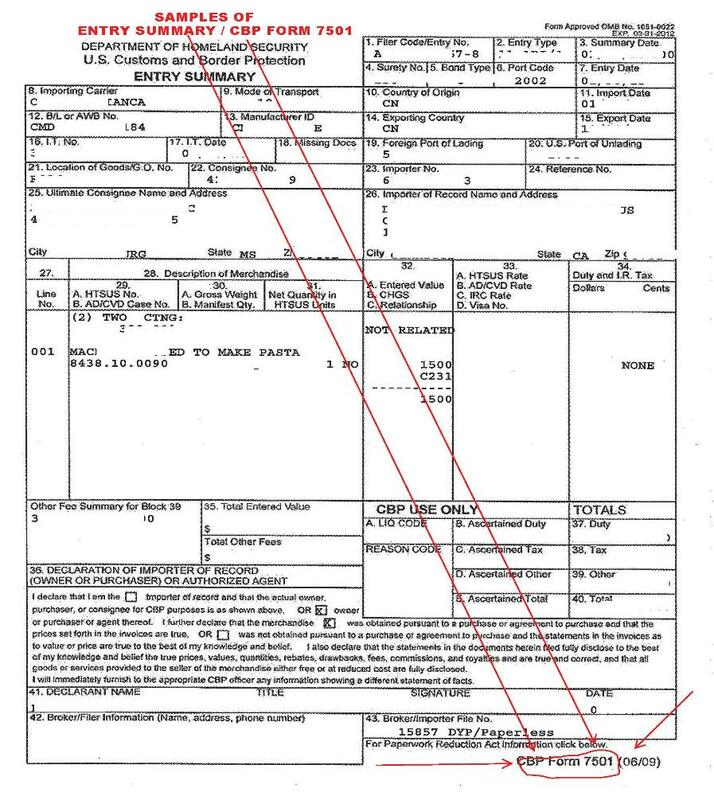 Also, Your CFS Warehouse / Port will receiving Customs Release Documents from us. 3. 7512 (IT,TE, IE) is filed, if shipment is moving to exam site / to clear in other port, BEFORE US Customs has release the shipment.